10. Wait for it to respring and voila its installed. This section is Important if you want to see the Hack actually work. Scroll down until you see "Brave Frontier"
Furniture Open up and you will see something like either of the images below. In the spoilers. Turn on whatever you want. Then go and start the game and the features will be turned on. To turn features on and off you have to close the game process khi turning switches on or off. DOWNLOAD FOR FREE the MOST ANTICIPATED classic style role-playing game for the iPhone! Venture forth into "Grand Gaia", the world of the gods, and unleash your Summoner powers to save it by defeating the Fallen God Maxwell in this immersive and addictive RPG! * Summon and create a powerful squad from over 200 legendary heroes and ancient beasts, mastering the elemental strengths of Fire, Water, Earth, Thunder, Light and Dark! #1 Classic Style RPG game in Japan! 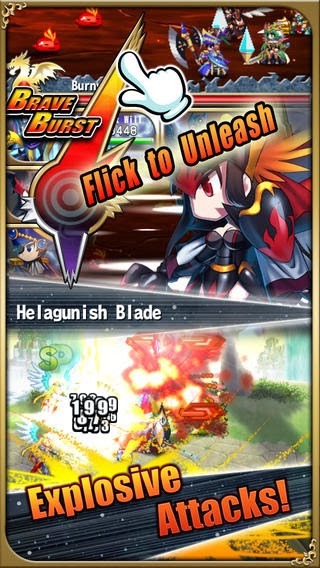 * Collect beautiful classic pixel-crafted units, each with their own unique Brave Burst attacks! * Compete in the PVP Arena! Climb its ranks and cut down your opponents receiving rare equipment and awards! * Upgrade and harvest from resource fields in your town and use them to synthesize rare potions and powerful equipment! Please ensure your device has a minimum of 1GB RAM before installing the game. For devices with less than 1GB RAM, performance of the game is not guaranteed.